Proceeds benefit Summit Quest, for children and families affected by cancer. This annual favorite is a great way to end your season of triathlons. For experienced youth and adults, first timers and relay teams. Held on Darlington School campus and surrounding area. It is a 500-yard lake swim, 14.5-mile bike, and 3.1-mile run. The youth tri is for ages 6-15 years of age with distances varying with age. The sprint is great for beginner and advanced triathletes. The course includes a 500-yard lake swim, 14.5-mile bike and 3.1-mile run. Registration Cost: $90 for individuals & $100 for teams. Relay teams welcome and encouraged! 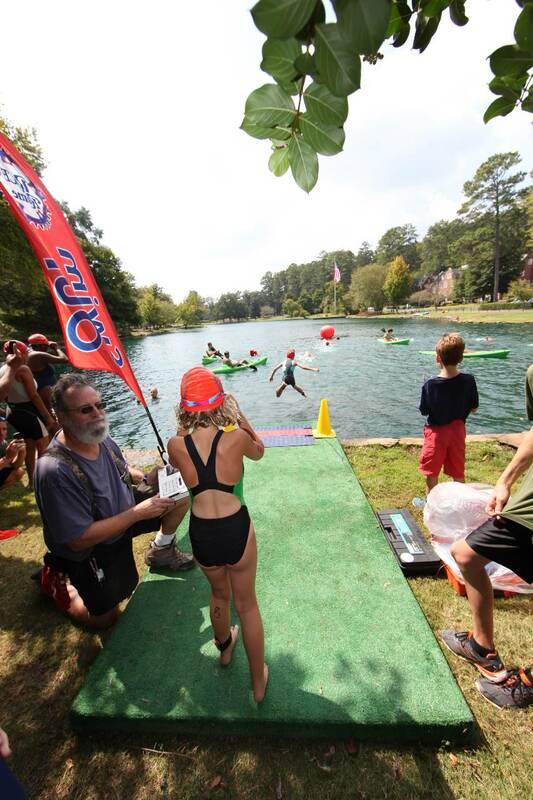 The youth race will feature a kid friendly lake swim with the course lined with kayaks, a bike on a closed-to-traffic Cave Spring Road, and a run around the picturesque lake on Darlington's beautiful campus. There will be a junior (ages 6-9) and senior (ages 10-15) division with distances appropriate for both. Registration Cost: $45 (+ $5 USAT fee if not a member). Ages 6–9: 50 yard lake swim, 2.2 mile bike (closed to traffic) & .5 mile run. Ages 10–15: 100 yard lake swim, 4.4 mile bike (closed to traffic) & 1 mile run.